Home > News > News > Boogie Wonder Band Concert Cancelled! 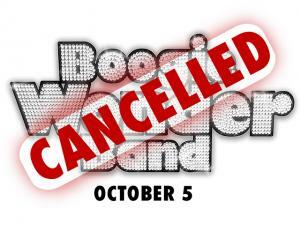 Boogie Wonder Band Concert Cancelled! We are sorry to announce that due to a scheduling conflict, the Boogie Wonder Band concert scheduled for Tuesday, October 5, has been cancelled. Ticket holders may choose between switching their tickets to a performance of The AMT Band Plays ABBEY ROAD with no additional costs, or transferring the money to a customer credit or gift card for a future purchase at AMT. Switching tickets to The AMT Band Plays ABBEY ROAD would be a savings of $6 per ticket off the regular price.